Warren Harris, better known as Hanna, is an incredibly prolific producer and multi-instrumentalist from Cleveland, Ohio who has released a string of consistently respected singles and albums over the past few years. 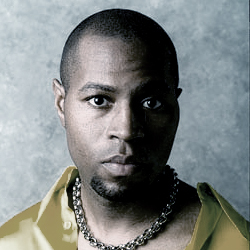 Between 1999 and 2002, he released four full-length albums as Hanna (Severance, Scarlet Manifesto, Amen, and Contemplating Jazz) that have stretched and blurred the boundaries of house, techno and Jazz. 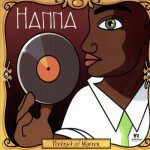 Preferring content to fads and current musical trends, Hanna tries to avoid spending too much time listening to what his peers are producing; instead he looks back to the pioneering spirit of his favourite musicians like Carmen McCrae, Bill Evans, Thomas Whitfield, and Thelonious Monk for his inspiration. The result is a sound that brings their philosophies into electronic music the artist not being awed into futility by his heroes, but awed into creating something unique, fantastic and more than a little bit out there! Imagine a Sun Ra-inspired club on some distant planet where futuristic melody and harmony sit on top of the deepest funk-filled grooves and you're halfway there! Hanna's impressive discography includes essential and classic releases on such diverse labels as Track Mode, Metamorphic, Sublime, Paper, R&S, Panhandle, Afterhours and Deep Departures. He's also collaborated with Dan Curtin under the Key Of Soul guise.